It was an absolute pleasure to launch our partnership with SunYield by Stoddart Group this morning at our newest community in the Logan growth corridor, The Highlands Estate. The push to get rooftop solar into Australia's largely untapped rental market has gained new momentum this week, with building products company Stoddart Group unveiling a plan to install 15,000 PV systems on new investment properties in Queensland. The solar roll-out, announced on Thursday, will put a 6.5kW PV system on news homes built by investment builders, along with a "smart switchboard" that measures the solar power used by the tenant and bills them for it. "If the tenant chooses to use the solar panels, all solar and grid power is measured automatically via a smart switchboard and the tenant receives a single monthly power bill for all electricity consumed from both the solar and the grid," he said. For the landlord, the "SunYield" package will generate an average of $25 per week of electricity income ($1,300 a year), while also offering the tenants access to cheaper power than from the grid. Tenants, meanwhile, can expect to see annual savings of around $275 on their power bills, and a promise of no more bill shock. "Powershop is always pursuing ideas that can help Australians get in control of their power bills," said the company's CEO, Ed McManus in comments on Thursday. "This program not only helps customers save money, but it also lowers their environmental footprint and puts more renewable energy into the grid." Stoddart's Taylor believes it is technology like this that will see rooftop solar quickly become standard on all new investment properties. "In the next two to three years, we'll see a complete shift from rarely seeing a rental property with solar, to it being difficult to find a new one without it." The only reason this hasn't happened already, he adds, is because there has been a technology gap. "Rental yields are about 5 per cent, while solar yields are 25 per cent," Taylor said in comments on Thursday. "We knew that if we could solve the technology problem, investment builders would install solar on every new home as it's more attractive for the buyer, the tenant and is positive for the environment," he said. That said, the SunYield technology is not the first to tackle the solar problem for the rental market. In 2015, Australian tech startup Matter launched a similar technology called Digital Solar, that allowed landlords to install rooftop solar and operate it like a micro-utility by selling the solar generated energy back to their tenants at a cheaper rate than power from the grid. And in Queensland, the state government has recently made a concerted policy effort to incentivise the rental market to take up rooftop solar, giving those families and households that can't afford to own their own home access to cheaper power. The City of Adelaide has also made efforts to open the market to renters, with a 2016 policy that removed the upfront costs of installing rooftop PV on rented households, and provided a long-term payment plan able to be transferred to the tenants or building owners. The SunYield technology, meanwhile, more directly targets landlords, by allowing them to install solar and get the benefits automatically, rather than personally negotiating with the tenant for rates and payments. It also gives the landlord the option to either sell the power to their tenant, or sell it directly back to the grid if the tenant chooses not to buy it. "What sets this technology apart is the ability to sell all solar power to the grid if the tenant decides to use another energy provider." "In the past, tenants opting out has been a risk for landlords looking to invest in solar panels as the solar power is worthless if you don't have a buyer for it," he said. But renters also stand to win from the roll-out, as we noted above and Stoddart Group says it has worked closely with Energy Queensland to ensure its technology and metering arrangement complies with all relevant state rules. To roll out the SunYield systems, Stoddart Group has also partnered with leading investment builders in Queensland to include the solution as standard on their new investment properties. 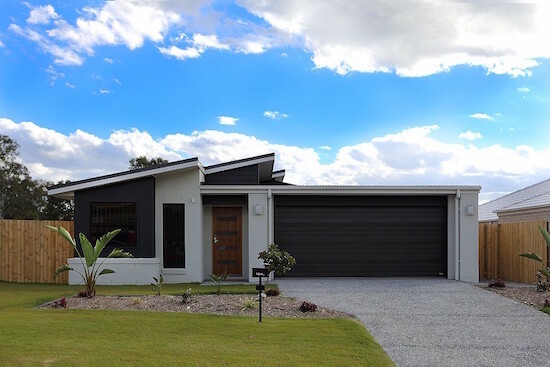 Choice Homes, which has been one of the first four major master builders to adopt the new technology, said opting in on the solar scheme was a no-brainer. "We're always looking for ways to offer our customers a better investment, which made the decision to put SunYield on every home a simple one," said Choice Homes director, Troy Knight.